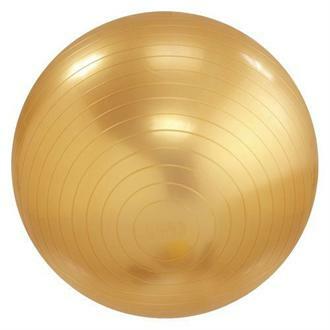 Fitness balls have been recommended for low-intensity muscle toning workouts for years now, however due to design flaws and poor quality they are often passed over in favor of more conventional and often more difficult and strenuous methods of exercise. However, using the latest technology Everlast has made the Men's Anti-Burst Fitness Ball. This fitness ball is made with special polymers and silicone to add durability and eliminate the tearing, ripping and puncturing that are often associated with these devices. The Anti Burst Fitness Ball can be quickly deflated and inflated with the included two way pump, making it easy to take along to the gym and to fitness classes. This is a great product and will make your workouts more effective and fun. Weight capacity is 300 lbs. Email your friend about the Everlast Fitness Ball with Anti-Burst and Free Two-Way Action Pump. Ask a question about the Everlast Fitness Ball with Anti-Burst and Free Two-Way Action Pump.